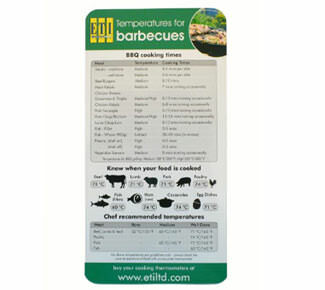 ETI have published a handy, wipe-clean BBQ reference card. If you would like to receive yours, FREE, just fill in your details, then click submit. It will be sent out to you.